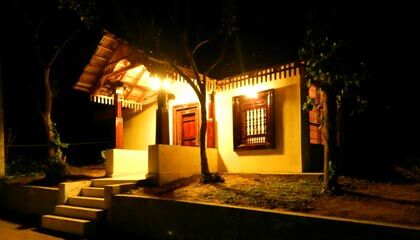 Silver Oaks Homestay is situated at a charming area embosomed by the beautiful Kunda hills in South Coorg. 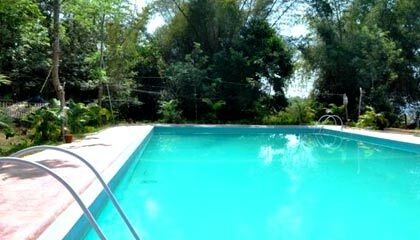 For those in quest of a place to simply unwind, relax and enjoy a pleasant holiday, Silver Oaks Homestay offers you a magnificent experience of living amidst untouched nature. 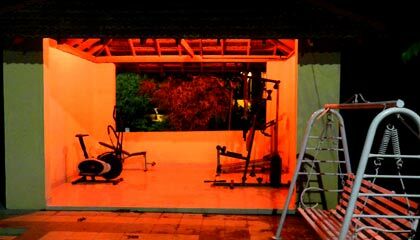 Embraced by 10 hectares of Silver oak trees, coffee and spice plantation, the homestay provides invigorating views of lush green forest land and Kunda hills. 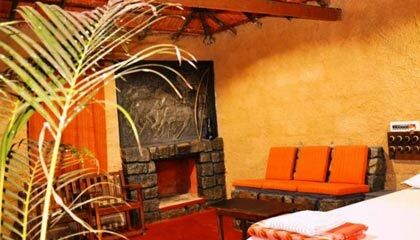 It forwards comfortable accommodation in its well-appointed cottages built alongside a lake. 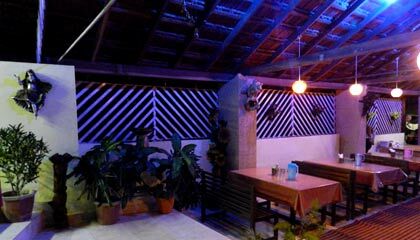 The home stay has a choice of indoor and outdoor activities including table tennis, boating, bird watching, trekking and more, in order to make your stay enjoyable and fun-filled. 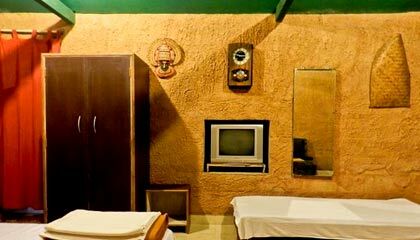 To sum up, Silver Oaks Homestay is a perfect place to chill out with friends and family, and relist the exotic nature of Coorg. 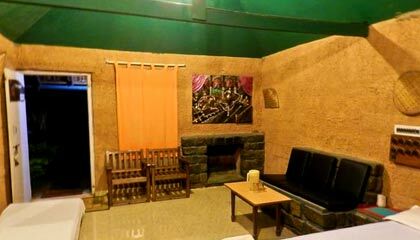 The home stay features excellent accommodation in its spacious and beautifully designed Cottages. 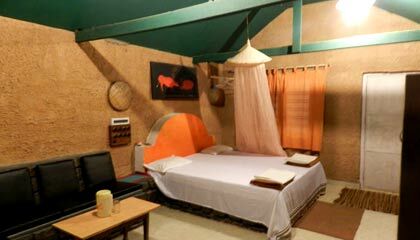 Each cottage is done with a rustic ambience and is outfitted with facilities like TV and DVD player. 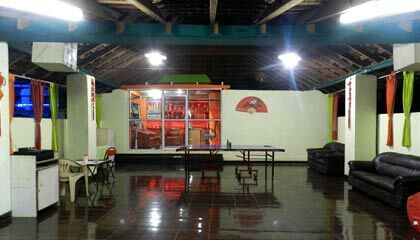 It also offers Tent stay for those who want to experience adventure. 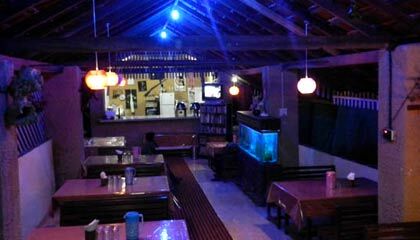 The Restaurant: An eatery serving mouthwatering Indian and Oriental cuisine.